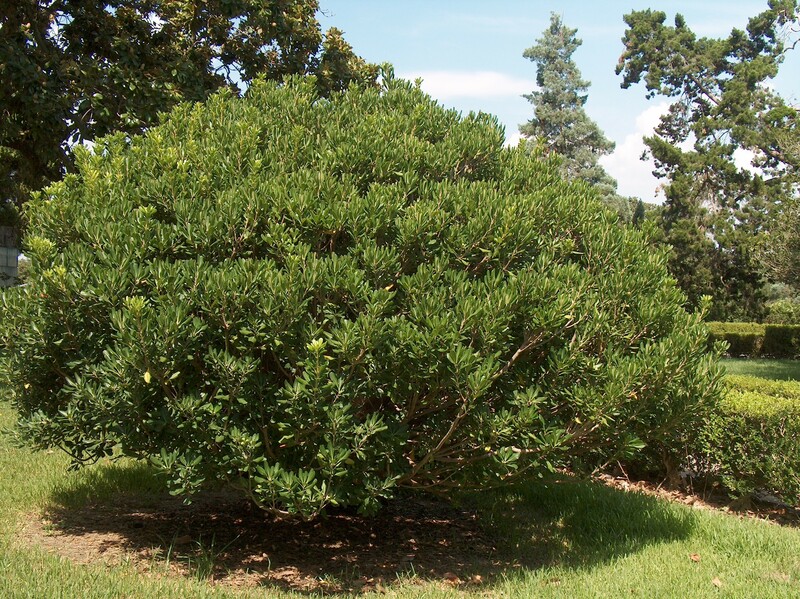 Comments: Excellent, dense, evergreen, mounding shrub that is hardy throughout the lower South. It has creamy white, fragrant flowers in spring which are followed by hard brown fruit in the fall that split open to reveal red seeds. Use as a specimen, barrier or screen.